Japanese Barberry creates ideal habitat for ticks, and has been attributed to the rise in Lyme Disease. More barberry = more ticks = more Lyme Disease. I have shifted my winter focus to finding products using Japanese Barberry with the hopes of decreasing its population in our woods with the aim of decreasing rates of Lyme Disease. These products include potential medicine (type II diabetes, fatty liver disease, statin-resistant high cholesterol, digestive issues), as a dye, bitters, and more to come. If you are interested in Japanese Barberry removal, any of the products listed above, or a monograph, please contact me. 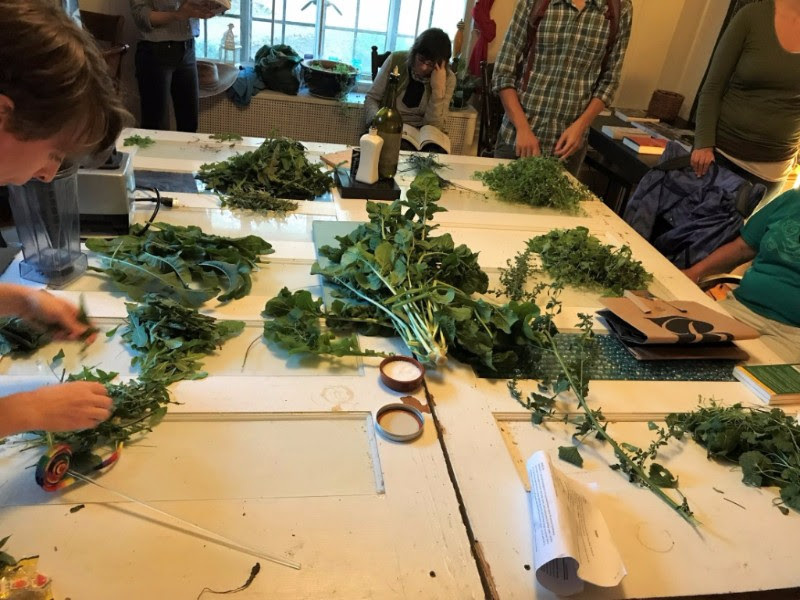 He is currently taking booking for his spring teaching schedule, so if you or any organizations you know are interested in hosting a Forage and Feast, plant walk, mycology talk, herbalism event. These events are perfect for public and private schools, universities, youth groups, farms, community centers, and private residences alike. Many people have celebrated their birthdays at a Forage and Feast, so why not book a private Forage and Feast for you and your loved ones to celebrate a special day? If you have any questions, are interested in getting involved with any of the above projects, or if you would like to host an event, please be in touch with Hayden at haydenstebbins@gmail.com.